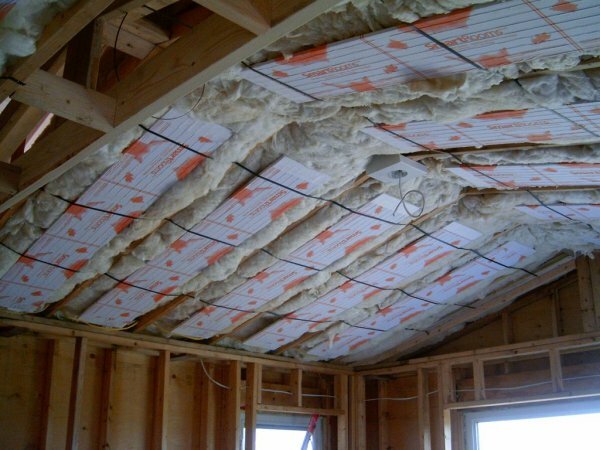 The radiant heat ceiling panels are a totally concealed system that is placed behind your drywall. These radiant ceiling panels are installed between the ceiling (or floor joists, if you are trying to warm up the floor above). By installing it in the ceiling, this system will not interfere with your choice of flooring or furniture that could block the heat. 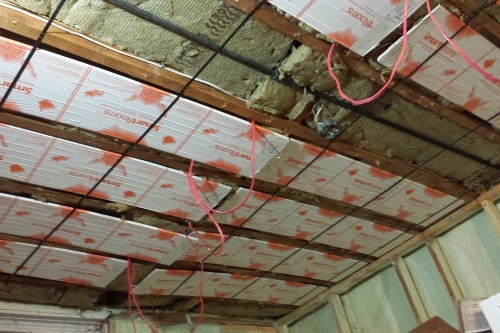 With the help of the drywall, which acts as a diffuser of heat, the radiant ceiling panels will provide the space below it with a constant gentle and even warmth to the occupants, without moving air. Above all, these panels are safe, quiet, and clean, maintenance free, easy to install and, just like the metal radiant heat ceiling panels, they can save you up to 30% of your heating costs.